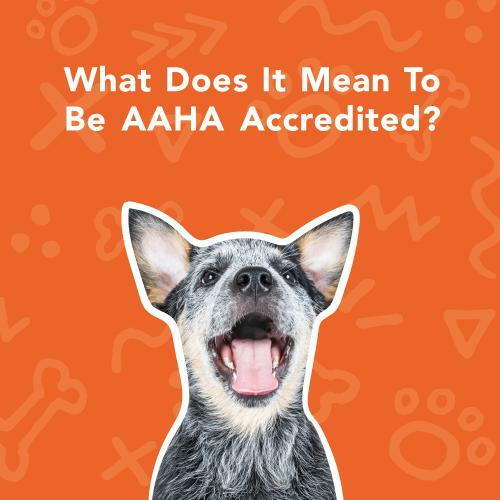 What Does It Mean To Be AAHA Accredited? The American Animal Hospital Association (AAHA) is the standard for veterinary excellence. Veterinary clinics that go through the rigorous accreditation process to become AAHA certified, are evaluated on approximately 900 standards of veterinary care. Hospitals that achieve AAHA certification are recognized as some of the best in the industry. AAHA certification helps the hospitals better serve their communities by improving care and elevating the level of safety for their patients. At Freeland Animal Hospital, we are proud to be AAHA-accredited! We are committed to giving you and your pet the best care possible. To learn more about The American Animal Hospital Association, visit their website.